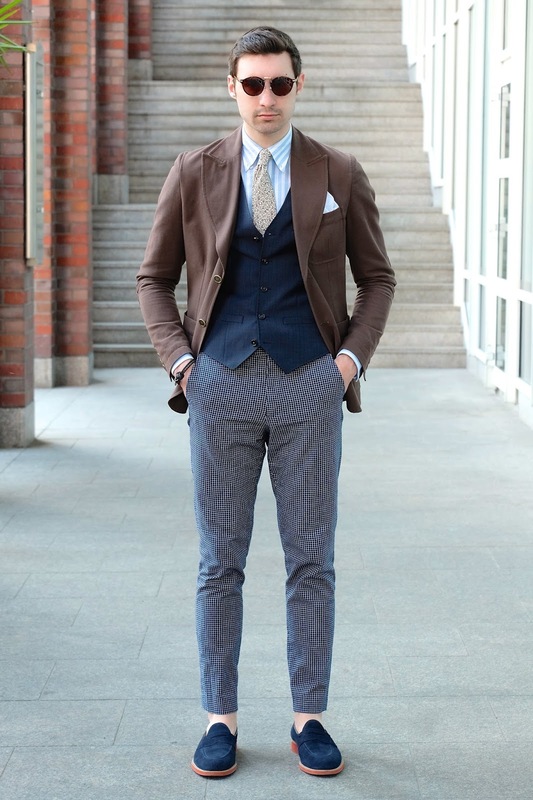 So you saw my last post with Windsor explaining the art of wearing solids. Today I may not be wearing many solid pieces, but I am wearing brown, which was one of the main colors I focused on in that post. Brown is far too often overlooked by younger men. 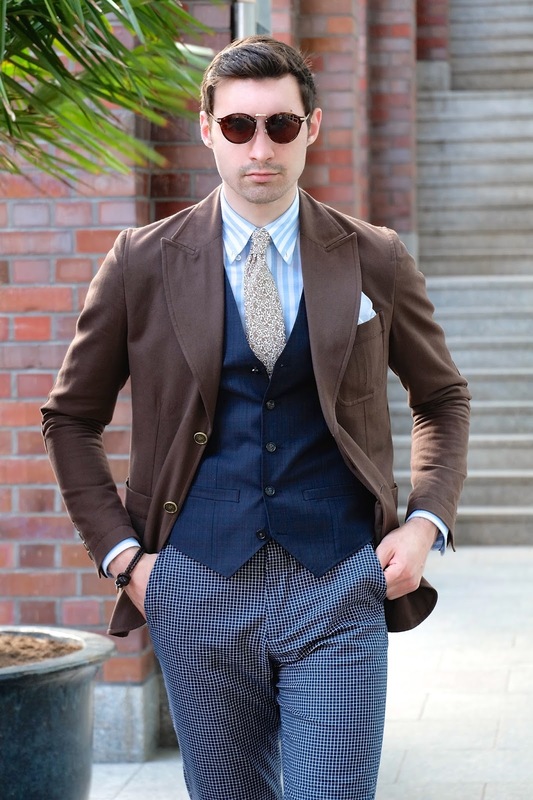 The brown suit on it’s own, mainly because of it’s rarity, can be a statement; however I think a brown blazer is a much better choice. 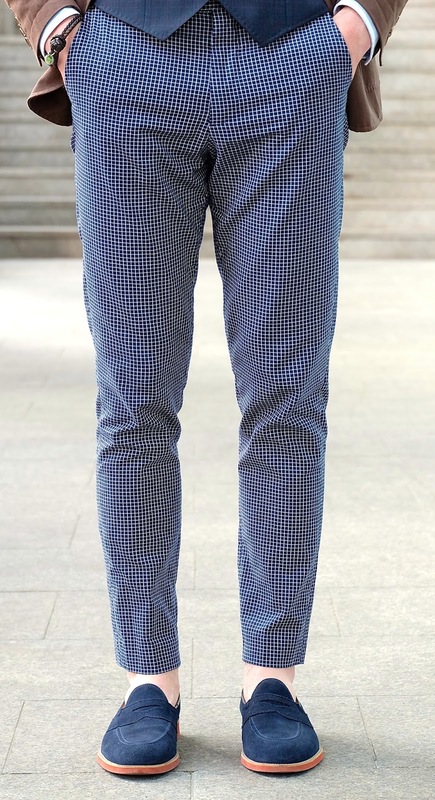 By wearing it with any shade of blue, white and cream you are pretty much guaranteed to have a unique outfit. The problem arises when you go out shopping. 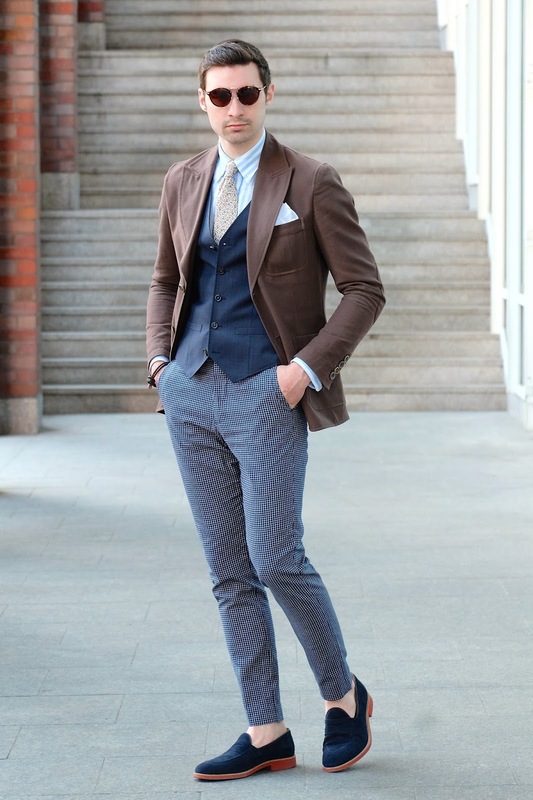 A slim fit unlined brown blazer is almost impossible to find. 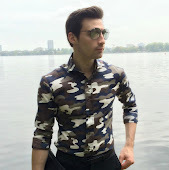 The best choice is to go custom and with some great online made to measure shops out there such as Tailor4Less, this can be done relatively easily and inexpensively. Your next option is to head to Suitsupply. They have a few brown pieces in their collection and they’ve also got great made to measure services in all of their stores. Lastly you could just go browsing in every menswear shop you see. Unfortunately chances are low that you’ll find something that fit's you perfectly in brown but do your best and there are always tailors to make any needed adjustments. Thanks for reading. 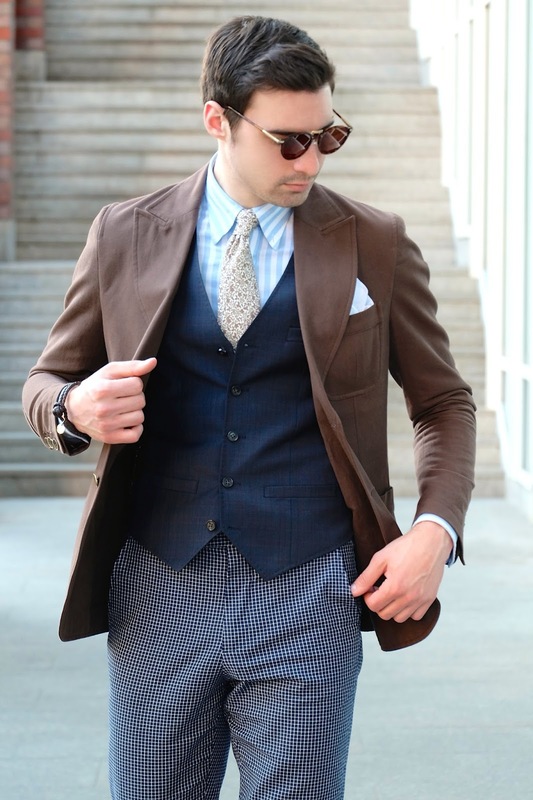 That Brown blazer looks great on you! love your whole look! Looking sharp as always. Love your style!